CBS has announced that is is booting up a new Star Trek series and for us nerds, that’s great news. There’s so much potential, so many ways this could be cast, and so many worlds left to explore. Sites like Nerdist, Metafilter, and IO9 are tripping out over the possibilities. But there’s a big but in all of this and trust me, this but is the size of an asteroid. CBS will broadcast the pilot on network TV and then move the series to its new subscriber service, CBS All Access. And there’s the rub. Television networks like CBS are scared shitless of streaming media and like most old school media conglomerates, have no idea how to cope with it. Kids these days, cutting cords, going without cable, making with the Netflix and the Amazon and the Apple TV and the torrents and goddammit, get off our manicured Greenwich lawns. Next thing you know we won’t be able to afford to live in Greenwich and that just won’t do. So the plan for CBS is simple. Create their own Netflix. Pack it full of CBS shows and to lead the nerd demographic in, toss them one of their favorite bones (which will no doubt be drained of its marrow by producer Kurtzman, a talent-deficient ghoul if there ever was one). Then the network doesn’t have to cut a deal with the big boys of streaming. Nope, they’ll just collect that monthly subscription and still be able to live in upscale Connecticut, or the Hamptons, or wherever. Silly network. Here’s how this is going to shake out. Some geeks will subscribe. And give out their passwords. Or even more likely, subscribe and then figure out how to download. Then upload. Torrent until seasoned. Torrent until the cows come home because who the hell wants to bother with another subscription service just for one stinking series. I’ve been over this before but it bears repeating because the Old Guard of Content keeps stepping on the rake while they’re chasing kids off the lawn. These futile efforts to supplant existing subscription services won’t work. We’re locked in to a couple of the big ones now and trying to get anyone sane to spend just shy of a hundred bucks a year for another one is not going to work. People are too lazy and too cheap to add another leech to their credit card. I do agree that content providers should be compensated fairly for their work. If CBS resurrects Star Trek for TV and it’s good, they should make money off of it. But to try to use that shiny new content to make an end run around a streaming/content provider that got there first is only going to annoy that valuable demographic you’re trying to attract. 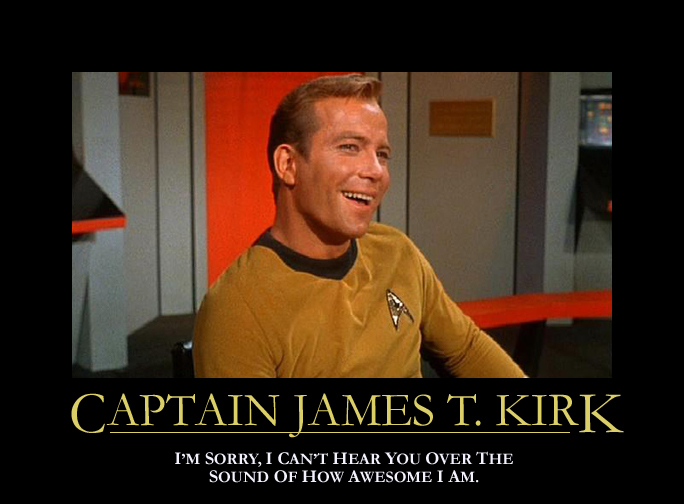 This is the Kobayashi Maru for TV executives and none of them are James T. Kirk. And if you don’t get that reference you probably work for a TV network. This entry was posted in Uncategorized and tagged amazon, apple, CBS, CBS All Access, James Tiberius Kirk, Kobayashi Maru, netflix, Star Trek. Bookmark the permalink.